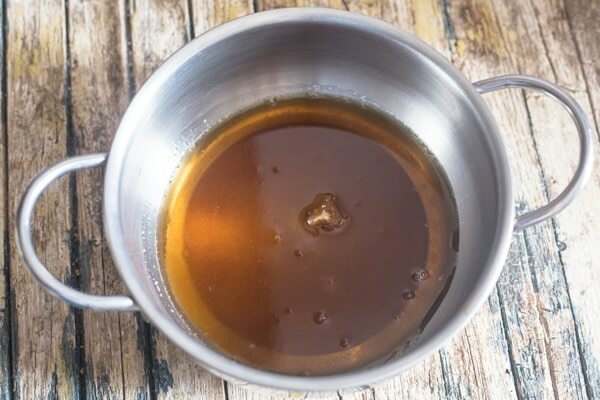 You can’t get any better than a Homemade Caramel Sauce unless you add a little Maple Syrup! Creamy and delicious. The perfect Topping. 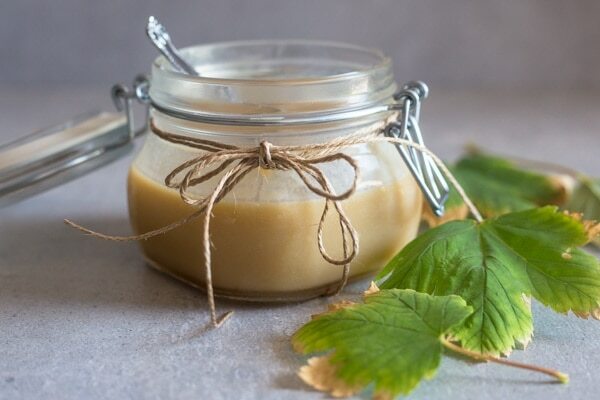 I realized that I hadn’t shared this Maple Caramel Sauce yet! I did make an easy version of a Caramel Sauce made with Sweetened Condensed Milk, that I made for my daughter’s No Bake Skor Cheesecake with Caramel Drizzle. 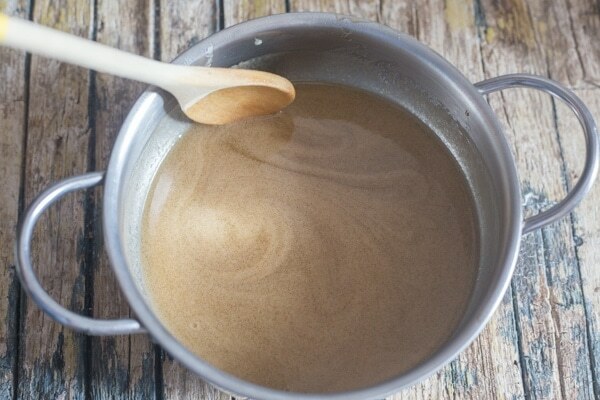 It’s fast and easy, but if you are looking for a Delicious, Creamy Homemade Caramel Sauce than this is the one. And it’s not very difficult to make. And don’t worry thinking that it is so thin once it is cooked. It will definitely lighten and thicken while it is cooling. The cooled sauce should be well covered and stored in the refrigerator, it will last up to one month. Stir well before serving. 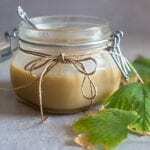 The sauce can also be frozen in an airtight container (not glass), it will keep up to 3 months. De frost overnight in the refrigerator, stir well before using. As you can see this is not a Salted Caramel Sauce, because I am not a lover of the stuff. 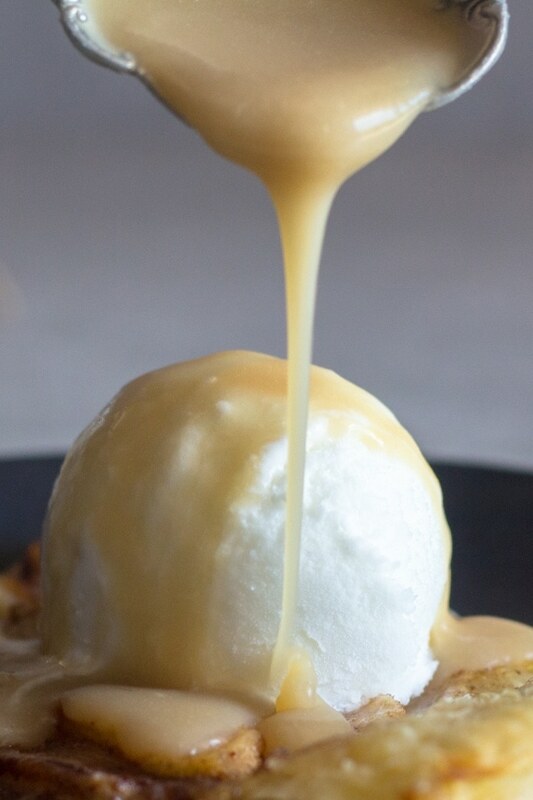 I prefer my Caramel Sauce just that! Ok the addition of the maple syrup really brought it up a notch. But if you do like that combination just stir in a teaspoon (more or less) of salt after adding the cream, then pour into the glass jar. 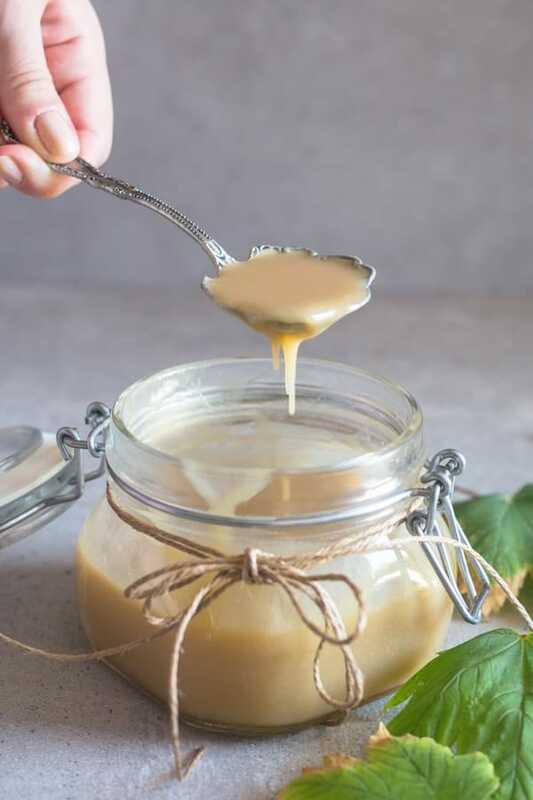 Caramel sauce is perfect on ice cream, or fresh berries or why not drizzle a bit on your pancakes or whipped cream Pumpkin Pie for Thanksgiving? Enjoy. 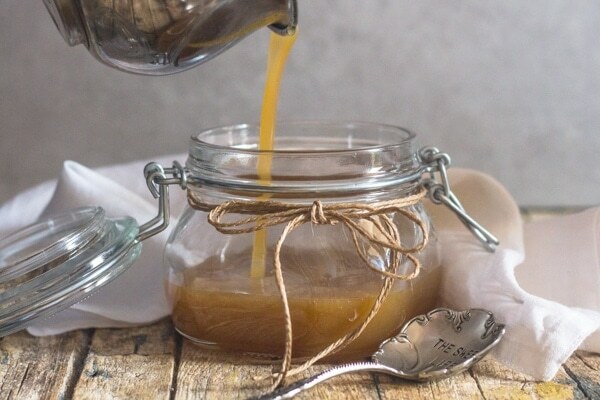 You can't get any better than a Homemade Caramel Sauce unless you add a little Maple Syrup! Creamy and delicious. The perfect Topping. 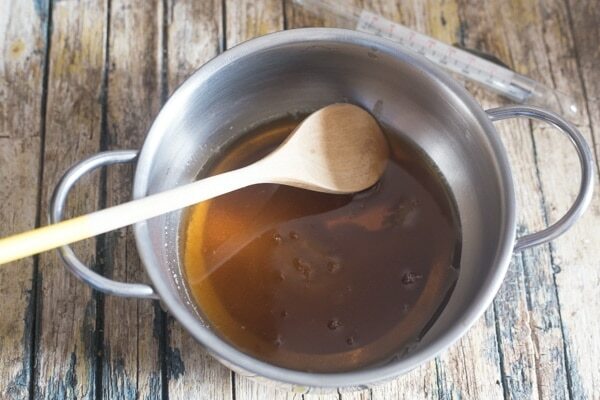 In a heavy saucepan add the maple syrup and brown sugar, heat on low/medium heat until boiling, place candy thermometer in the pot and continue on a low boil until temperature reaches 235F (112C), stirring every couple of minutes with a wooden spoon. Remove from heat, add the butter and stir until melted, add the cream and combine. Pour into glass jar, the sauce will thicken as it cools. Once cool cover tightly and store in the refrigerator. Stir well before serving. Enjoy.